An increasing number of theme parks, including Disney World and Disney Land, have recently changed their policies for guests with disabilities, cancelling the access passes that allow guests with disabilities to bypass queues for rides. 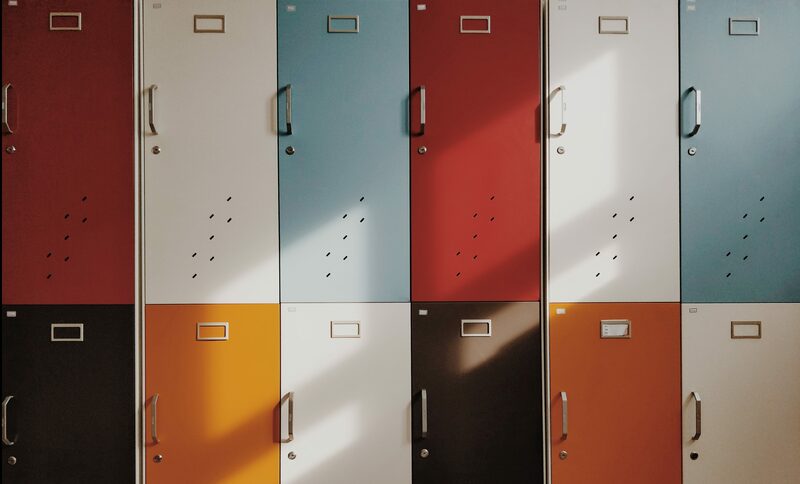 Additionally, several large theme parks, such as Legoland California, Universal Studios and Dollywood do not publicly post their policies on access passes. The reason for these changes is that the policies were being abused by tour guides with disabilities who charged a large fee to wealthy families to skip those long lines. Some individuals also attempted to fake having a disability to acquire a coveted access pass. 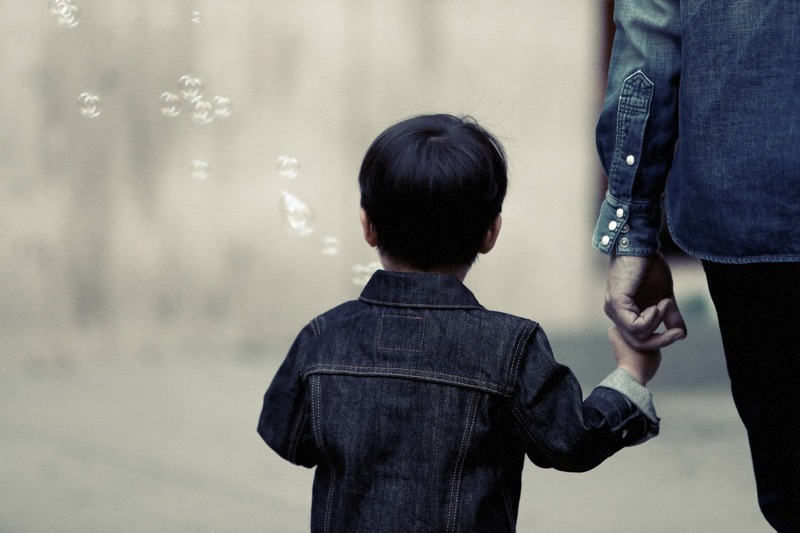 Quite understandably, this news is very upsetting to individuals with disabilities and their families, who – like my own family – often plan their vacations around theme parks. The good news is that there are many theme parks that welcome guests with disabilities and make special accommodations for them. Some of these are big-name parks with multiple locations, others are small, family-owned parks highly rated by theme park aficionados. A big bonus is that the whole family can have a great time at a fraction of the cost of a Disney vacation. Here’s a list of 39 theme parks to consider for your next vacation. 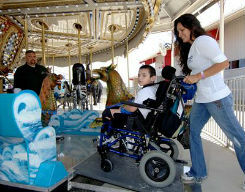 Morgan’s Wonderland in San Antonio, Texas is still the first and only theme park in the world where all of the rides are fully accessible and sensory-friendly. The park was designed and constructed for the purpose of full inclusion. Morgan’s Wonderland is a non-profit organization, and admission is free to guests with special needs ($15 per day for adults, $10 per day for children). Don’t let the location discourage you – this park repeatedly wins awards for being the cleanest and friendliest park in the world – that’s right, cleaner and friendlier than the Magic Kingdom. 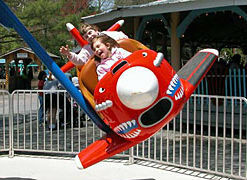 It also earns rave reviews from serious roller coaster enthusiasts and families with young children. 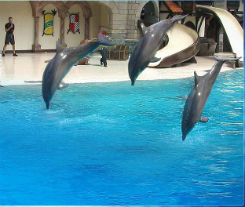 MarineLand Canada in Niagara Falls, Ontario offers a discounted admission fee to individuals with disabilities. Guests with disabilities can check in at the Guest Services office to receive a ride wristband that allows the wearer and one caregiver to bypass lines. In addition to roller coasters and family-friendly rides, MarineLand features shows with dolphins, orcas and beluga whales, and it’s less than one mile from downtown Niagara Falls. 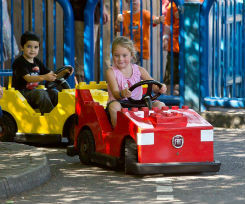 There is no admission fee – guests buy tickets for the rides. Guests with disabilities can receive a Courtesy Pass at the first aid station, which will allow the individual and up to 3 companions to bypass all lines and enter the rides through the exit gate. Picnic pavilions are available to all guests on the grounds, and there is a campground adjacent to the park. When my family visited Knoebels, we were surprised at the ample shade in the park, as well as its relatively peaceful environment – not too loud and busy like other theme parks. 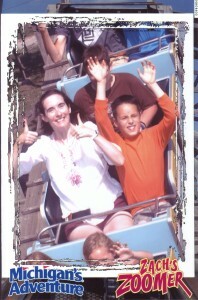 We enjoyed a very happy day Knoebels! 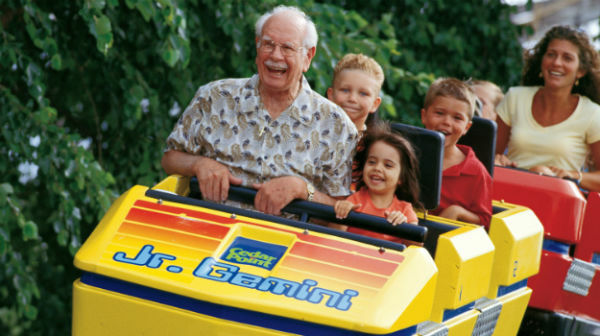 Sesame Place in Langhorne, Pennsylvania (about 30 minutes northeast of Philadelphia) provides a wristband and Access Card to guests with disabilities to bypass lines at up to 6 dry rides and 3 wet rides per day. Guests may enroll in the Ride Accessibility Program at the Welcome Center when entering the park. 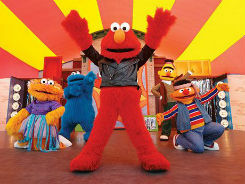 Sesame Place features low-thrill family rides and non-scary Halloween attractions, so it’s perfect for a family with very young children. Here is a link to the 2015 Ride Accessibility Guide. 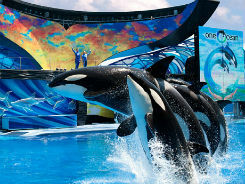 Sea World San Diego provides a Special Access Pass to guests with disabilities, which places the guest in a Virtual Queue with a prescheduled boarding time for each ride. Sea World also provides sign language interpreters for shows and tours, as long as the guest contacts Guest Services two weeks before the visit. Darien Lake Theme Park Resort in Darien Center, New York (about halfway between Buffalo and Rochester) has priority access entrances for its most popular rides. Cedar Fair is the parent company of eleven amusement parks, three separately gated outdoor water parks, one indoor water park and five hotels across North America. 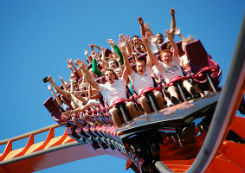 The largest and most famous of their properties is Cedar Point in Sandusky, Ohio, which has been named the “Best Amusement Park in the World” for 15 consecutive years by Amusement Today’s international survey. 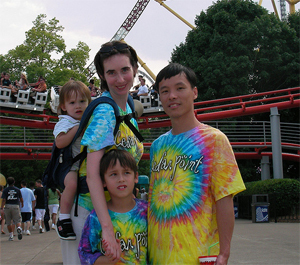 Cedar Point and Soak City, Sandusky, OH: My family usually gets platinum season passes, which allows us to enter Cedar Point one hour before it opens to the general public. Guests at Cedar Fair hotels are also granted early admission to Cedar Point. The combination of early admission and beach access makes it a great vacation every time. Gilroy Gardens Family Theme Park, Gilroy, CA: Gilroy Gardens is a non-profit educational institution for children, and it has a slightly different ride access policy. Guests with disabilities may pre-schedule a boarding time for a ride with only one companion. 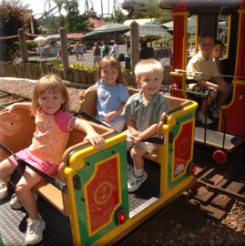 Update: This post has been updated to reflect changes in policies at some amusement parks. What is your favorite theme park? What type of accommodations do you receive there?